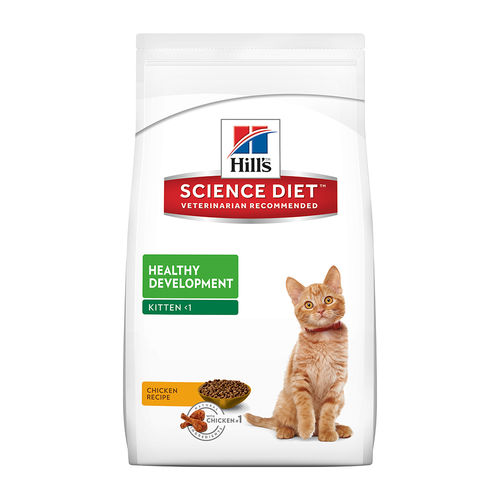 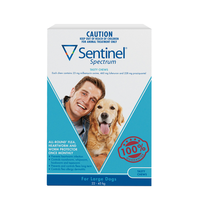 Hill's Science Diet Kitten Healthy Development Original cat food gives your kitten precisely balanced nutrition to build immunity and digestive health. It is enriched with DHA from high quality fish oil and made with high quality ingredients that provide an ideal combination of nutrients, clinically proven antioxidants and vital fatty acids to give your kitten the best start in life. 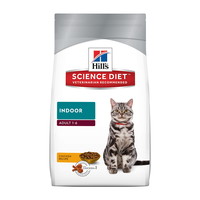 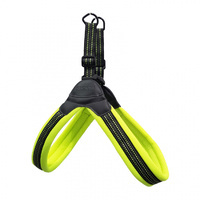 Long-term feeding to adult cats, unless they have higher than normal energy requirements. 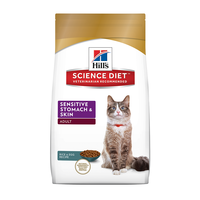 Long-term feeding to adult cats, unless they have higher than normal energy requirements. 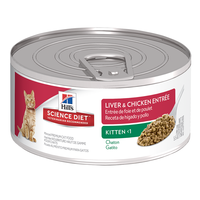 Long-term feeding to adult cats, unless they have higher than normal energy requirements. 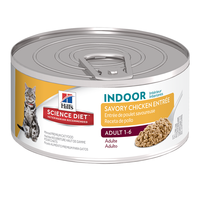 Chicken By-Product Meal, Ground Whole Grain Corn, Corn Gluten Meal, Animal Fat (preserved with mixed tocopherols and citric acid), Chicken Liver Flavor, Brewers Rice, Fish Oil, Flaxseed, Dried Egg Product, Soybean Mill Run, Potassium Chloride, Choline Chloride, L-Lysine, L-Threonine, L-Arginine, vitamins (L-Ascorbyl-2-Polyphosphate (source of vitamin C), Vitamin E Supplement, Niacin, Thiamine Mononitrate, Vitamin A Supplement, Calcium Pantothenate, Riboflavin, Biotin, Vitamin B12 Supplement, Pyridoxine Hydrochloride, Folic Acid, Vitamin D3 Supplement), Soybean Oil, Cysteine, Calcium Carbonate, DL-Methionine, Vitamin E Supplement, Taurine, minerals (Manganese Sulfate, Ferrous Sulfate, Zinc Oxide, Copper Sulfate, Calcium Iodate, Sodium Selenite), L-Tryptophan, preserved with Mixed Tocopherols and Citric Acid, Magnesium Oxide, Beta-Carotene, Rosemary Extract.